International Student and Scholar Services has rescheduled its spring workshop "Communicating with International Students" for April 17. The workshop was previously canceled due to weather. Please review the following description and register for the workshop on Training Hub. Tongues Untied is kicking off Hello Monday! A space for and by LGBTQIA+ identified QTIPOC to hang out and have discussions. This week we will be talking about the history of voguing and watching modern voguing artists. Read more about Tongues Untied: Hello Monday! Registration for postdoctoral scholars and grad students has been reduced! Instead of $100 through March 1 and $120 beginning March 2, the registration fee for students and postdoctoral scholars is now just $20 through March 1 and $50 beginning on March 2. Reserve your place for the eighth Keeping Our American Indian Faculty and Faculty of Color symposium scheduled for March 31 through April 2, 2019, at University of Minnesota Twin Cities campus. 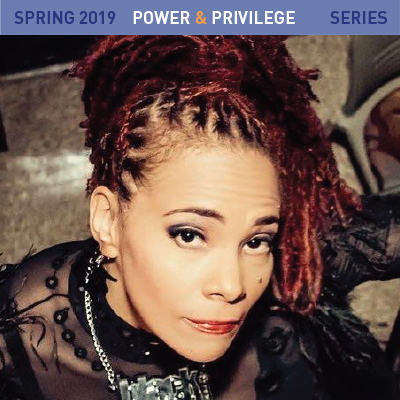 The Power & Privilege Series aims to create a conversation around issues like racism, homophobia, gender identity, and sexism. With reflections from Amy Kaminsky, Jacquelyn Zita, Michelle Garvey, MJ Maynes, Naomi Scheman, and Ruth-Ellen Joeres.